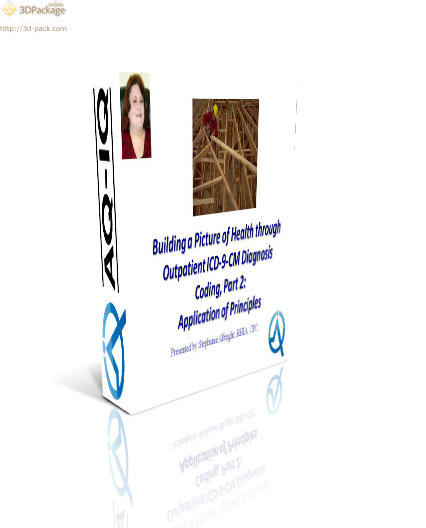 In this course the student will gain an understanding of volumes 1 and 2 of the ICD-9-CM classification system in order to appropriately assign diagnosis codes in the outpatient setting. Diagnosis coding process including coding conventions, coding guidelines and specific examples will be discussed. Understand chapter specific guidelines, including appropriate use of tables, definitions, sequencing. Understand coding guidelines for diagnosis selection in an outpatient setting, including ambulatory surgery, observation stay, diagnostic and therapeutic service encounters. Understand relationship to medical necessity, documentation and reimbursement.